​Arizona nonprofits do much more than provide necessary services to our communities - they are an integral part of our state's economy. Annually, they have an economic impact of $22.4 billion, more than 8 percent of Arizona's gross state product. Arizona nonprofits also account for 325,000 jobs. Monetary donations are the most direct way to help a nonprofit make an impact: Donations allow nonprofits to allocate funds where they are most needed. Arizona Gives is focused on helping participating nonprofits raise funds that are critical to supporting their work. By donating you simultaneously invest in the future of Arizona and help nonprofits make an impact in your community. Arizona Gives Day is a powerful 24 hour online giving experience that unites Arizonans around causes they believe in. Hosted by the Alliance of Arizona Nonprofits and the Arizona Grantmakers Forum, Arizona Gives Day is a great way for nonprofits to connect to the larger community. The Alliance of Arizona Nonprofits (Alliance) and Arizona Grantmakers Forum (AGF) have announced the return of Arizona’s statewide day of giving. Presented by FirstBank, Arizona Gives Day is scheduled for April 4, 2017. The 24-hour online giving initiative encourages Arizonans to recognize and financially support the efforts of various nonprofits from across the state.  In addition to fundraising, Arizona Gives Day is an opportunity to raise awareness of the state’s nonprofit sector and educate communities on the benefits of online giving. Beginning at midnight on April 4 and continuing until 11:59 p.m., Arizonans can go online at www.azgives.org and pledge their financial support to the nonprofit of their choice. Donors will select the recipient of their online donation and the donation will go directly to their chosen organization.